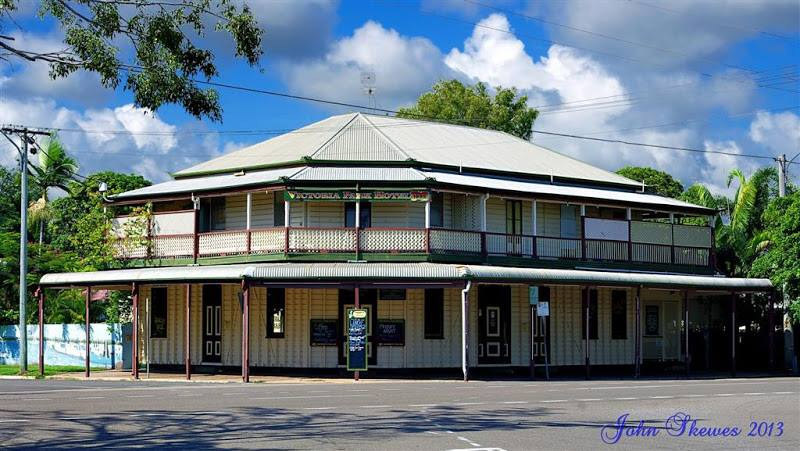 Less than a month after a fire destroyed their home of two decades and life as they knew it, Robyn and Frank Sexton have resumed trading at their scorched, historic Townsville pub. 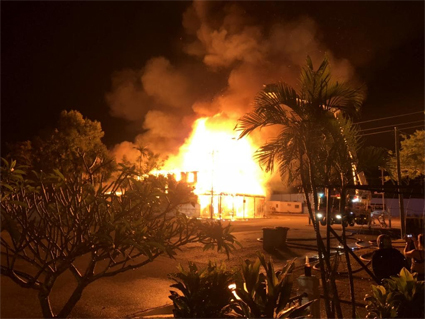 After more than 20 years running Townsville’s oldest pub, the Victoria Park Hotel, in early June the Sextons escaped the building as they noticed smoke coming from under a door, calling emergency services as smoke alarms sounded and a fire took hold. Firefighters fought for over three hours to contain the blaze, but most of the building was decimated, with flames so hot they melted streetlights. Miraculously, the garden bar and next door cellar were unscathed, and despite the locals thinking the couple would give up on the property, they reopened limited service last Friday night. They are now attempting to secure a new food licence, to open a mobile kitchen in the garden area, hoping to revive their popular pies and ribs. The couple have been through weeks of interviews with fire and insurance investigators, and the outcome of their insurance claim is still undetermined. They still do not know how the fire started, but investigators said at the time there were not any signs of suspicious circumstance. Robyn told the Townsville Bulletin they are very pleased to be back open, from around 11am each day, until “the last person leaves”.